What is a "nosebleed cash game"? What is the definition of the term "nosebleed cash game"? A "nosebleed" cash game is a cash game that is played at very, very high stakes. Let's break this down a little bit. People tend to get nose bleeds at high altitudes, thanks to the lower barometric pressure and drier air. 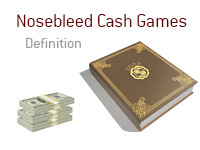 So, a "nosebleed cash game" would be a cash game that is played at very, very high stakes. The term "nosebleed cash game" became prominent in the poker world when Full Tilt Poker released their $500/$1000 No Limit Hold'em and Pot Limit Omaha cash game tables. The stakes were so high, it was said, that they would cause "nosebleeds". Some of the players who tend to participate in "nosebleed cash games" include Phil Ivey, Tom "durrrr" Dwan and Gus Hansen. All three players have won or lost hundreds of thousands of dollars (even millions) in just a single session by playing in "nosebleed cash games". 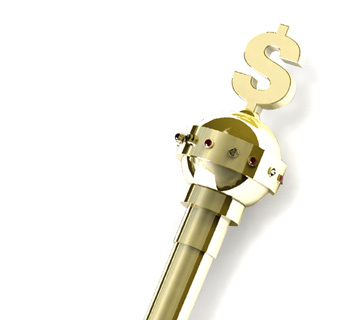 In order to play these cash games and not bust immediately, you need a fairly substantial bankroll.